Today – the UN’s International Day for the Eradication of Poverty - sees the launch of the Global Coalition to End Child Poverty website and with it a report from the Coalition, Putting Children first: a policy agenda to end child poverty. The Coalition is a coming together of 20 advocacy, research and policy organisations, including Young Lives and led by UNICEF and Save the Children; its mission is probably self-evident from the title. Of course few argue that growing up in poverty is acceptable– the critical question is how to build the types of policies and programmes which help remedy the problem. 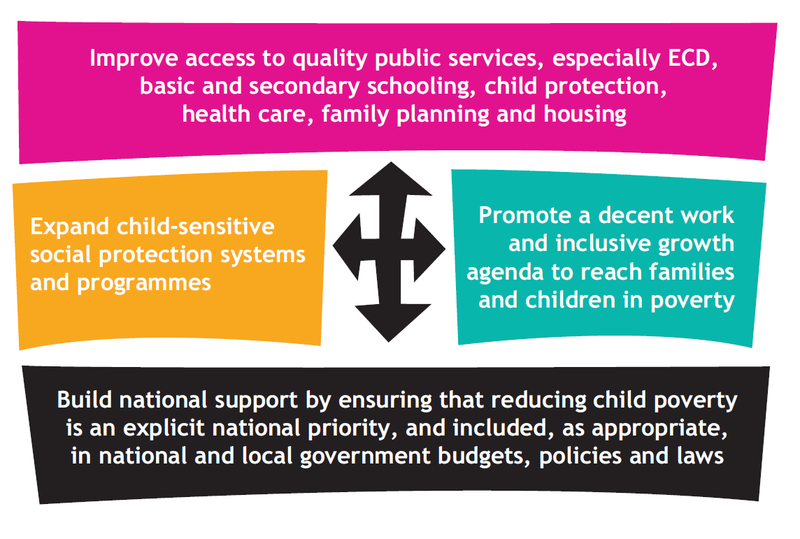 Identifying key building blocks across sectors is the purpose of the Putting Children First report. The key building blocks include important policy areas around early child development, schooling and other public services; the expansion of child sensitive social protection and decent work. The report also identifies the need to build national support for the importance of tackling child poverty as a national priority and suggests ways of supporting this. That point in particular ties in with the theme of the International Day for the Eradication of Poverty, moving on from exclusion and humiliation, because the report identifies the importance of overcoming the exclusion and stigma which poorer children, and their families, often report. With the SDGs there has been much discussion about growing inequality (including from the World Bank's recent publication Taking on Inequality). Child poverty is one of the key ways in which deep inequality undermines human development and later life chances. Stepping up action to reduce poverty and mitigate its consequences is part of the solution to tackling wider inequality.